Known for being the biggest of Italy’s beautiful lakes and it’s crystal clear waters, Lake Garda is often overshadowed by its glamorous sister, Lake Como. We however, think it’s an area which deserves to be explore more. With an abundance of luxurious residences, multi-cultural influences, Mediterranean climate, and (relative) close proximity to Venice in the east and Milan to the west, Lake Garda is an ideal holiday destination. Renowned poets have for decades been inspired by the area (including Tennyson and Roman poet, Catullus) because of it’s incredible natural beauty. With an abundance of outdoor pursuits on offer too, it’s great if you want to add a little more adventure to your trip. Check out our favourite luxury hotels from the area. 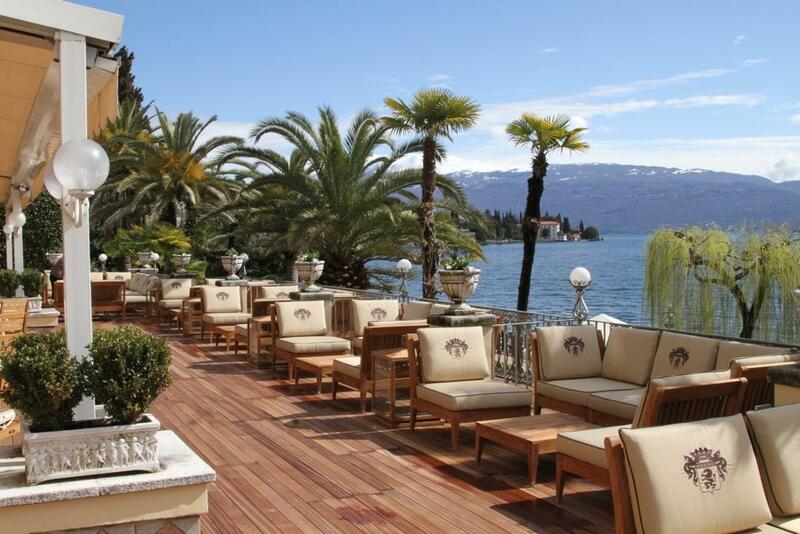 The Grand Hotel Fasano sits on the edge of Lake Garda and close to the popular Gardone Riviera. Built in the 18th century as a hunting lodge for Austrian aristocracy, the Ville Principe was converted into a luxury hotel in 1888, with the second part of the hotel added in 1903. An elegant 5-star hotel, rooms are bright and airy with all the usual 5-star extras including a laptop in each room. Enjoy breakfast on your terrace overlooking the lake, before taking advantage of the well-equipped wellness centre, spa and swimming pools. 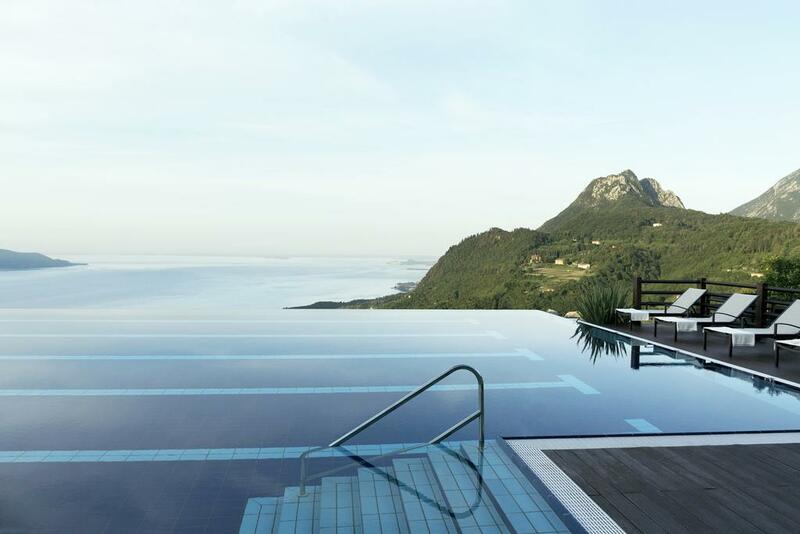 High above the sleepy lakeside town of Gargnano sits the Lefay & Spa Resort. A popular hotel with those seeking a tranquil, wellness, getaway-from-it-all break, with all the trimmings of 5-star opulence. The resort sits in 27 acres of wooded nature park. 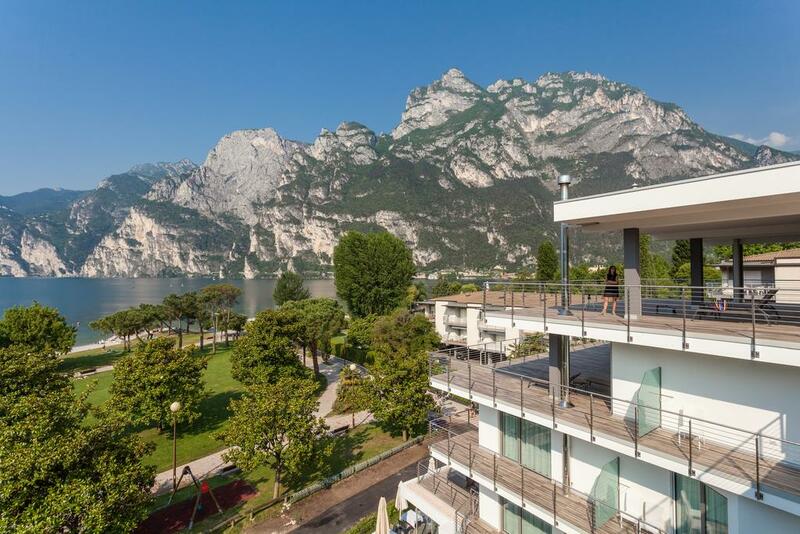 Stunning panoramic views across Lake Garda can be had from your room’s terrace. With the warm Mediterranean climate, and a spa which has won awards for improving clients sleep and posture problems, you will return home refreshed and rejuvenated. The only 5-star hotel in the Riva Del Garda area, this elegant building from the late 1800s was originally built as a retreat for the well-heeled. The exterior is maintained in its original style, while the interior has undergone major refurbishment, providing a seamless blend of ancient and modern styling. 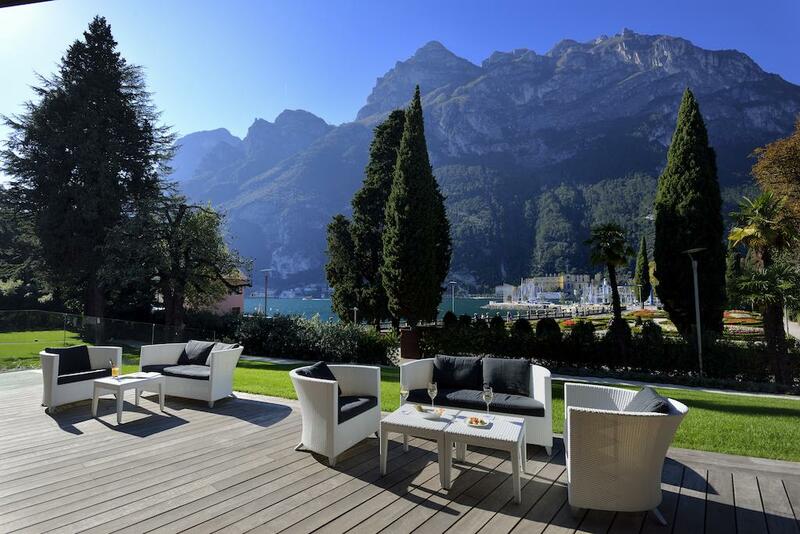 Although located in the centre of the captivating little town of Riva Del Garde, once inside the hotel and its extensive gardens you are surrounded by a serene sense of calm. With two high quality restaurants, and a comprehensively equipped spa and fitness centre, including a Turkish bath, it is the ideal venue to relax and re-charge the batteries. 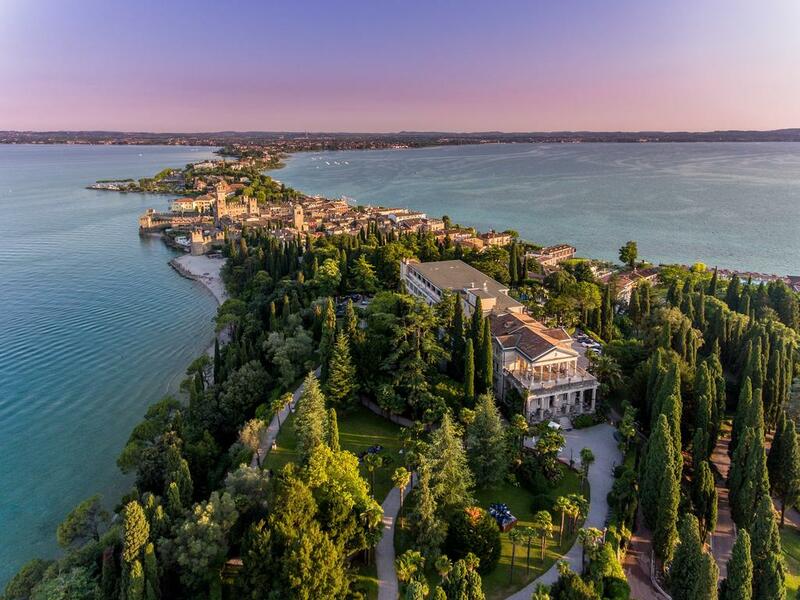 When you’ve visited the delightful town of Sirmione, you’ll understand why this area of Lake Garda is one of the most popular of tourist destinations. A stay at the 5-star Palace Hotel, will allow that extra time needed to explore this most beautiful area of north Italy. Situated in the old town area, a five minute stroll through cobbled streets of old, will have you entering the alluring Italian style gardens with their marble fountains, statues, fragrant shrubs and flowering plants. With much use made of marble and ceramics in reception and guest rooms, the interior has a light contemporary feel, while the location provides the most stunning of backdrops. This little 2-star boutique hotel has to be included, if only for its location and quirky, contemporary style – and who said you can’t get luxury at two-star level. Two minutes’ walk from the beach at Lake Molveno, the hotel is ideally placed for those who wish to tour other areas of the lake. The main departure and return jetty is less than 100 metres away, the town centre a pleasant 10 minute stroll, and the Botanical Gardens a further 20 minute walk. Rooms are clean and comfortable and the single restaurant provides a free breakfast, with fixed lunch and dinner menu served buffet style.